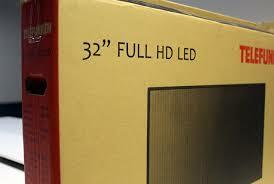 It says Full HD on the box, on the back of the TV, and the salesman confirms the display puts out 1080p. There’s just one problem: the panel is not Full HD. MyBroadband was recently contacted by Abu-Huraira Oman Abdalla, a member of ISACA, who shared the results of tests he conducted on a “Full HD” Telefunken TV.